You are currently browsing the tag archive for the ‘Baha’i’ tag. How the efforts of a non-Bahá’í to teach the Faith elicited an unexpected response from a hearer. serving to demonstrate the unique blessings attached to this sacred act. [S]omething amazing happened this evening at the last talk–-in my Intro to World Religions class–-that made this whole month [of immersion into the Baha’i way of life] worth the effort. My Baha’i Mentor is the only Baha’i that we know of within many, many miles. She is a diaspora all to herself. In fact, I have been her sole Baha’i companion for the whole month. She lit up when I arrived every week at her home for Study Circle, ready to share the wisdom of her faith. We laughed over tea and delved into the teachings of Baha’u’llah. I could tell [that she was] missing [the company of her fellow believers] every time we visited the Baha’i community in “Triangle” one and half hours north of us; the way she interacted with her Baha’i [friends], it was like a family reunion with gatherings too rare for comfort. I wanted to do something for her to repay her for the kindness and dedication she showed for me and Project Conversion. I wanted to give her a Baha’i community of her own. But this is near to impossible. How can a non-Baha’i (though my Baha’i friends call me otherwise) help someone come–or at least become interested–in the faith? Turns out, all I have to do is teach. The message does the rest. So tonight, as I finished giving my last talk about the Baha’i Faith in the last hours of the last days of the month, I showed the class the Baha’i Declaration Card and a registration card asking for more information about the faith. One woman approached me and asked to fill out the card, and if possible, to speak to my Mentor. I was floored. This was the spark I was looking for. The spark that could become a new Baha’i. She filled out the card and I will personally hand it to my Mentor tomorrow afternoon. I called my Mentor about what had happened and I could feel the joy flowing off her voice. Not because she might get the chance to “convert” someone, but because she gets the chance to share her faith. So, looks like I have been the best Baha’i I can be to the end…. Wherever an intensive programme of growth is established, let the friends spare no effort to increase the level of participation…. Let them not lose sight of the remarkable receptivity they found—nay, the sense of eager expectation that awaited them—as they gained confidence in their ability to interact with people of all walks of life and converse with them about the Person of Bahá’u’lláh and His Revelation. Let them hold fast to the conviction that a direct presentation of the Faith, when carried out at a sufficient level of depth and reinforced by a sound approach to consolidation, can bring enduring results. 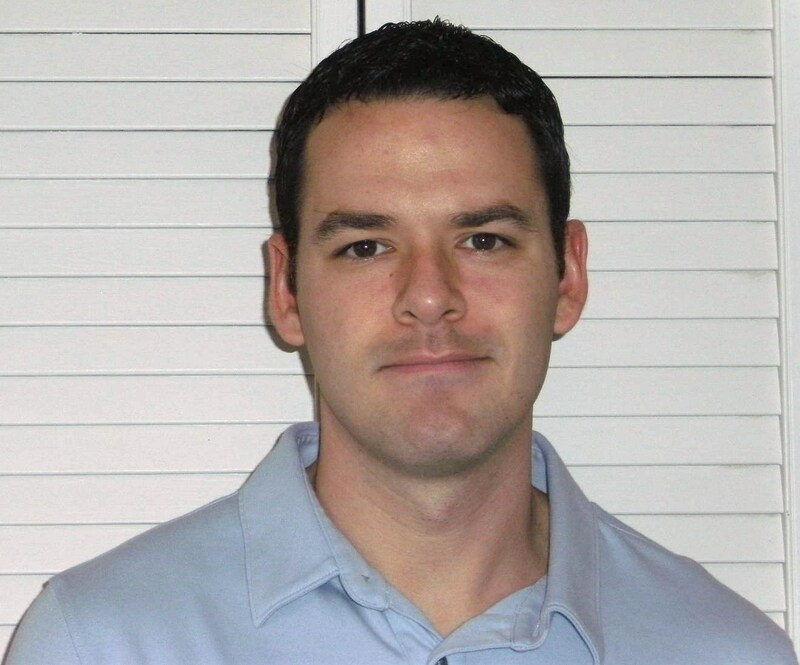 Andrew Bowen, a non-Bahá’í writer and editor, is the initiator of “Project Conversion: Twelve Months of Spiritual Promiscuity.” Over the course of a year, he is immersing himself in one religion per month with the help of spiritual mentors of that religion. 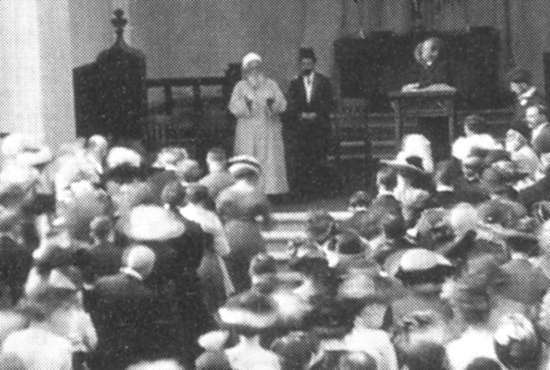 In February it was the turn of the Bahá’í Faith. A refreshing report from a devoted pioneer in the Pacific — filling her schedule with service: Taking the initiative to fill gaps she recognizes at the school at which she serves; spending evenings doing home- and deepening visits; and dedicating weekends to childrens’ classes and junior youth groups! So, I arrived last Tuesday night and went straight to a devotional in the house next to us – and of course I had to sing…talk about throwing yourself in so quickly! We got settled in that night and then went to the Ocean of Light school the next day. It’s a primary and high school and it’s run by Bahá’ís but it’s for non-Bahá’ís too. I realised very quickly that there is like NO music whatsoever in the school… there was nothing structured for them. So I talked to the Director of the school and got his permission to start a choir! So basically at the minute, I’m just trying to find songs to teach them and working out different parts and harmonies, hopefully it will sound as good as it does in my head. Also, after school some days there is a dance workshop so I’m helping out there! It’s a lot of fun and the kids are learning the steps really quickly. Most days after school, we will go round the neighbourhood and home visit. At the minute we’re really working with a girl, like sharing quotes about the youth and what the youth can do to better the world and she’s bringing some of her friends to a devotional this weekend, so people around here seem to be really receptive and enthusiastic about the Faith. We’re having an event almost every evening, like devotionals and firesides and then children’s classes and junior youth groups at the weekend. The children’s class I’m teaching has about 15-20 kids in it so it’s always entertaining! Also, we’re helping to improve their English in the classes, so we’re using games like ‘Simon says’ and singing songs like ‘Head, Shoulders, Knees and Toes’ which are fun at the same time. I’ve been here a week and have done so much already. I’ll keep you updated on what’s happening next! The Kingdom of Tonga is an archipelago in the South Pacific Ocean, comprising 176 islands, 52 of which are inhabited. The total population is only 102,000. 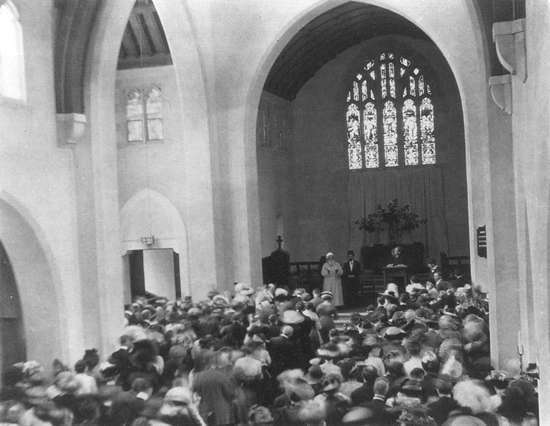 In 2004 there were 29 local Spiritual Assemblies and 5% of the population is Bahá’í. 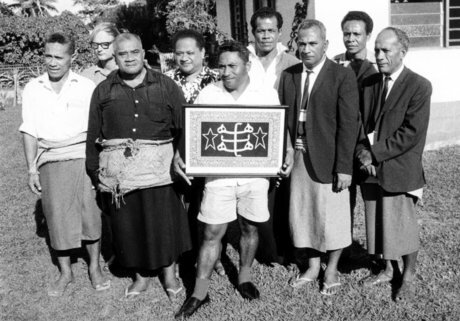 The Bahá’í Faith was first established in Tonga in the 1950s. 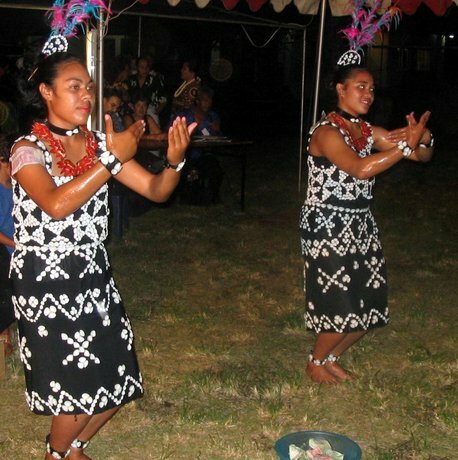 The National Spiritual Assembly of Tonga was established in 1976. Music is regarded as a praiseworthy science at the Threshold of the Almighty, so that thou mayest chant verses at large gatherings and congregations in a most wondrous melody and raise such hymns of praise at the Mashriqu’l-Adhkar to enrapture the Concourse on High. By virtue of this, consider how much the art of music is admired and praised. Try, if thou canst, to use spiritual melodies, songs and tunes, and to bring the earthly music into harmony with the celestial melody. Then thou wilt notice what a great influence music hath and what heavenly joy and life it conferreth. Strike up such a melody and tune as to cause the nightingales of divine mysteries to be filled with joy and ecstasy. I rejoice to hear that thou takest pains with thine art, for in this wonderful new age, art is worship. The more thou strivest to perfect it, the closer wilt thou come to God. What bestowal could be greater than this, that one’s art should be even as the act of worshipping the Lord? That is to say, when thy fingers grasp the paintbrush, it is as if thou wert at prayer in the Temple.